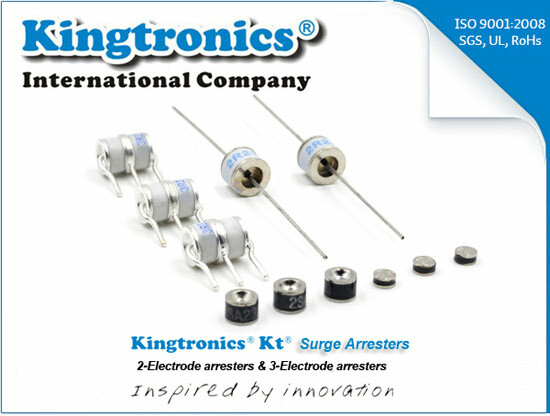 Kingtronics sell 2-Electrode arresters and 3-Electrode arresters, as well as SMD surge srresters for more than 10 years. Gas discharge tubes are designed for overvoltage protection, which used widely in automotive, consumer, industrial electronics field. If you need free samples for testing, please contact with us right now. We are ready to serve you anytime.